Huge spiny alien caterpillars from a far off alien jungle planet. 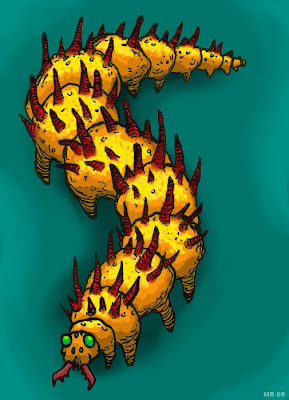 Spinypillars are essentially walking eating machines. Introduction into Earth's rainforests have caused untold detestation, however the beasts have also been cultivated as a new food source in their own right.